The musicians explore the limits of the liquorice stick by performing pieces that were and were not intended for it. The group seamlessly moves from the operatic masterpiece Carmen to the modern diva Sia, and make it seem as though Ed Sheeran’s “Shape of You” was originally written for a woodwind sextet. This concert feels like an intimate group setting with friends. The players perform with energetic vigour yet approachable warmth, providing a refreshing take on the professional musician’s persona. 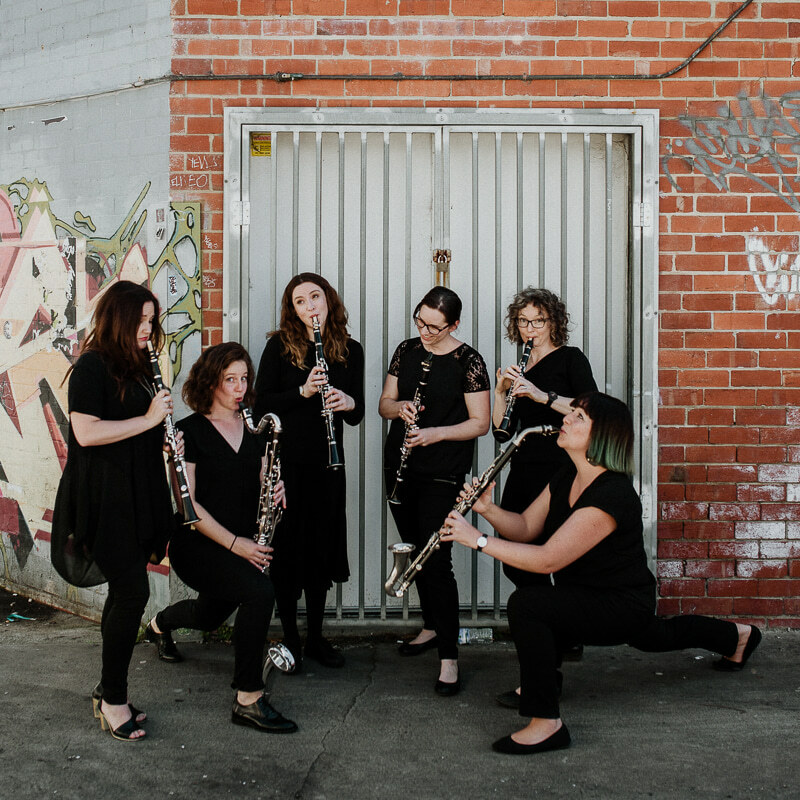 The clarinetists share immense chemistry onstage, exchanging jokes both rehearsed and improvised, which welcomes the audience to engage in their world of musical nerdiness. The players also serve as educators, incorporating humour into their teachings. We learn about the temperamental toddlers and teens of the woodwind family with their voice breaks, and occasional tantrums, but overall cuteness. What better way to round off a set than with a medley? “As if it wasn’t nerdy enough,” a player exclaims, much to the audience’s delight. The group dabble in a trio of Major Lazer hits, including a delicate and haunting rendition of “Get Free”, one of the night’s many highlights. The performance rekindles a love for music and leaves one feeling inspired to pursue it. You may become inclined to pick up a new instrument or revisit a musical friend from way back when. The joy and camaraderie present within the musicians’ performances is enough to make one dust off their old sheet music or join a jazz ensemble. Treat yourself to an evening of smooth ballads, transcendent arias, and classical chamber music. Sing and clap along, and try to resist dancing in your seat.